What a mysterious title, right? You have to ‘blame’ Random House Children’s Publishers UK for that. They have launched an awesome game for all the fans that cannot wait to read The Iron Trial by Cassandra Clare and Holly Black. Visit http://randomhousechildrens.co.uk/magisterium/ for some magical fun (and that’s all I’m going to say because I don’t want to spoil it for you)! 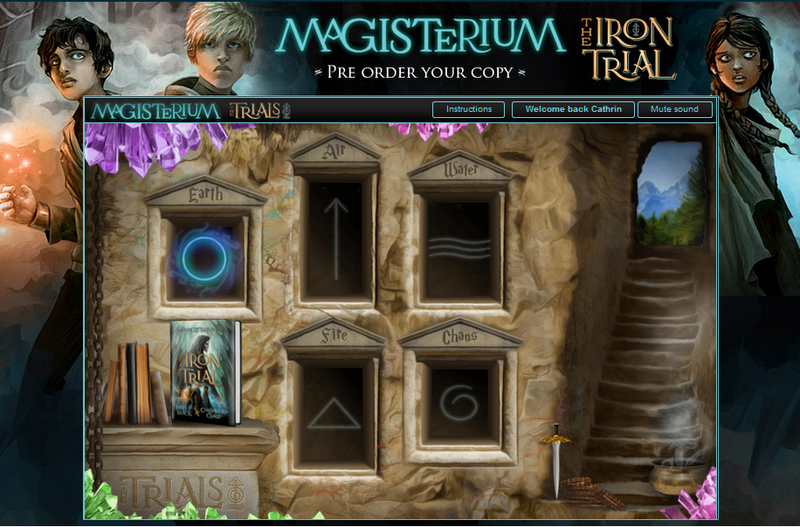 During your time at the Magisterium, there will be five trials to complete – one for each school year. They will test your magical skill, your endurance and your ability to handle dark and dangerous situations. Complete them all and you will be entered into the Grand Prize Draw. It begins with the Iron Trial . . .
It’s a place that’s both sensational and sinister. And Call realizes it has dark ties to his past and a twisty path to his future. The Iron Trial will be published on September 9 (USA/Canada) and September 11 (UK).